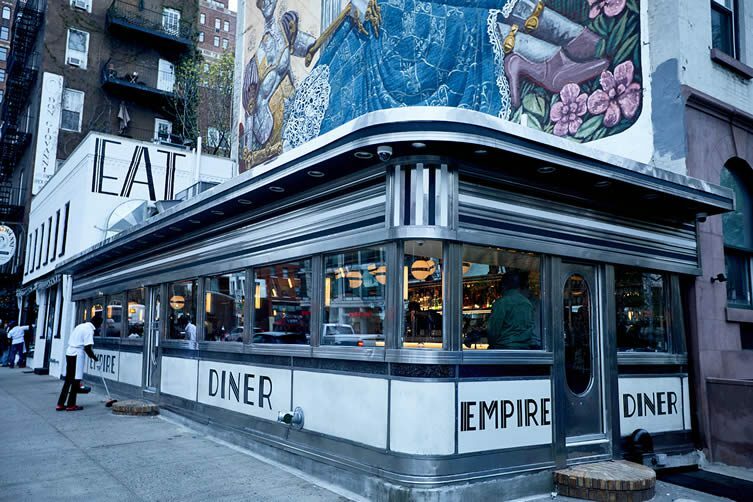 The iconic Empire Diner in New York’s West Chelsea neighbourhood has been the recipient of a contemporary facelift; an overhaul that celebrates its ever-changing surrounds, whilst respecting its roots to the art community. 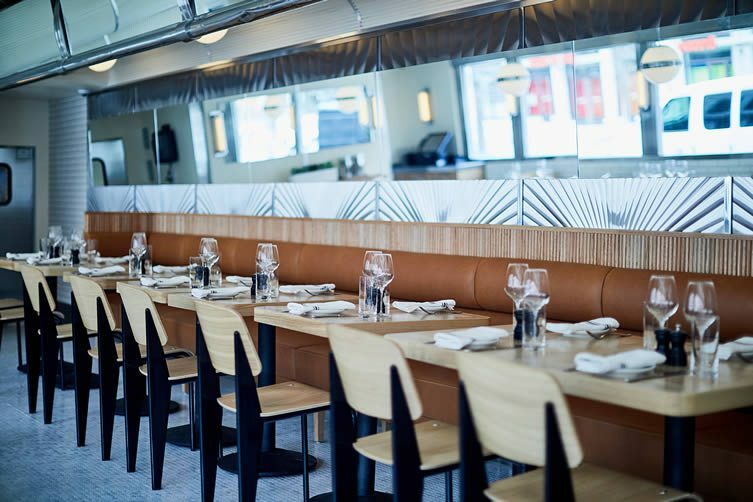 ‘I’ve always been drawn to nostalgia,’ admits chef/proprietor John DeLucie. 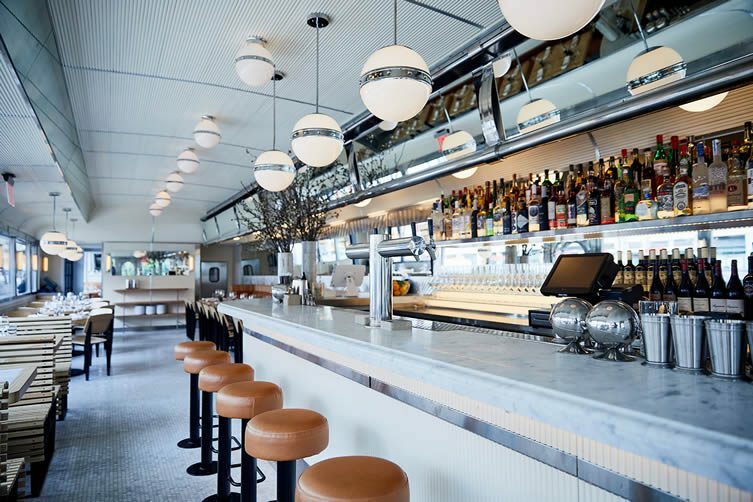 ‘I love historic spaces that can be revitalised,’ he adds, admitting that he’s looking forward to getting to grips with the rebirth of a New York icon. 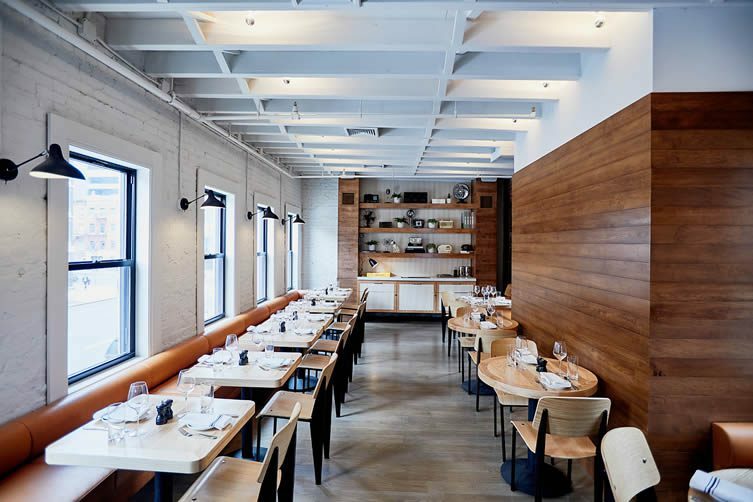 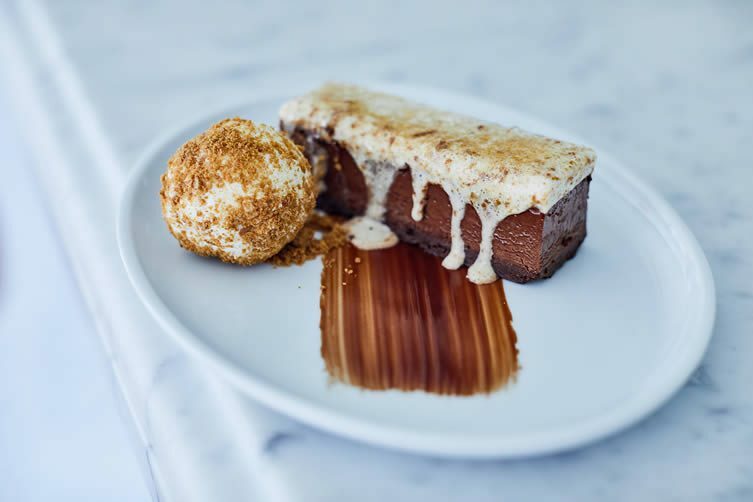 Formerly of The Lion, Waverly Inn, and Bedford & Co., DeLucie has put chef de cuisine Justin Neubeck in charge of creating a menu of classic American favourites with a refined twist. 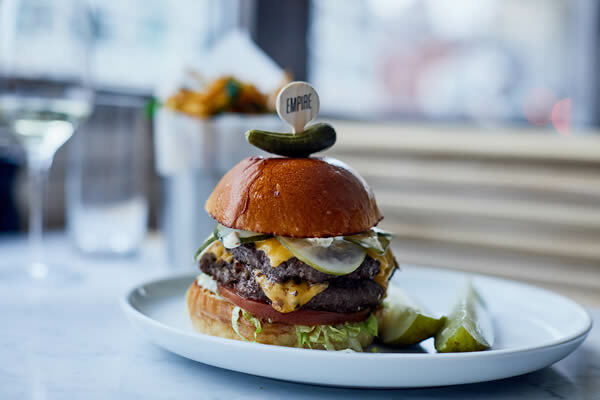 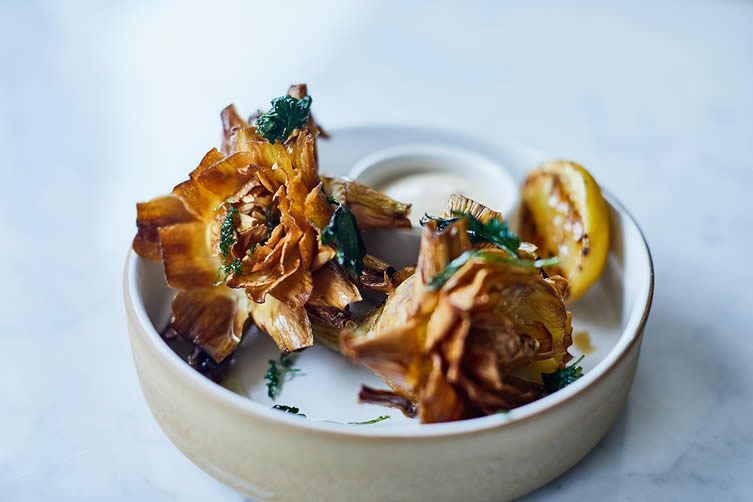 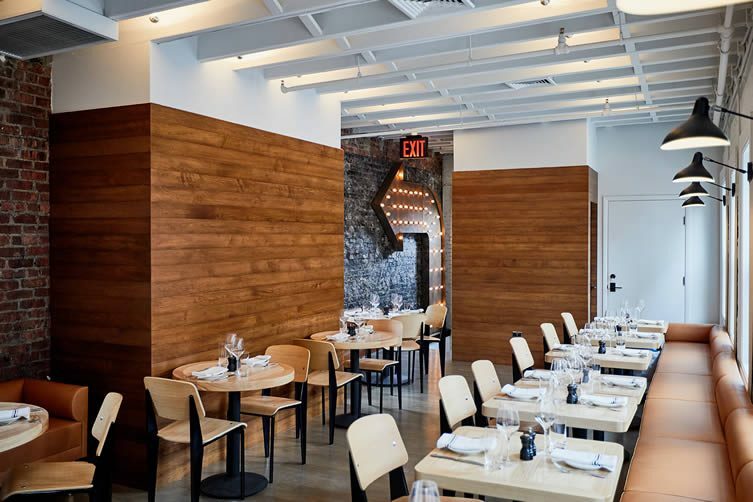 Small plates include celery root soup with brown butter and crab, whilst heartier selections incorporate the mouthwatering braised beef short rib, sourdough pretzel fried chicken and — of course — the Empire double patty burger, served with American cheese and herbed french fries. 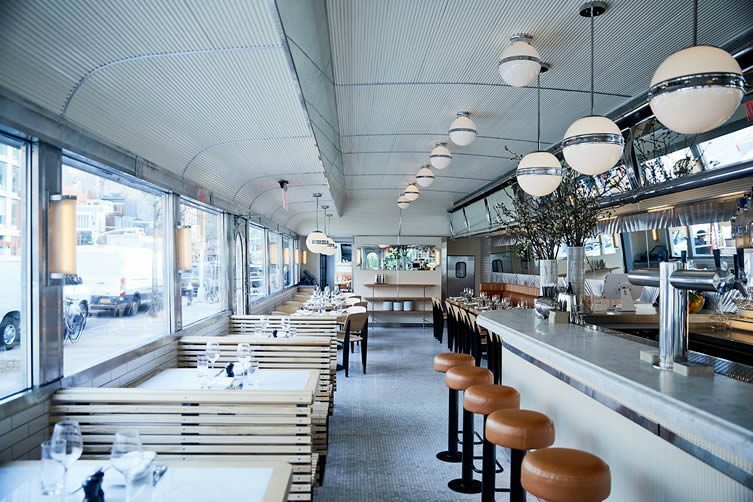 Working with interior design and architecture firm Nemaworkshop, the restaurant’s original art- moderne exterior remains untouched (save for those gleeful stainless steel panels having been restored and accentuated), whilst inside, a daubing of contemporary aesthetics has given the space a sense of traditional diner meets refined eatery. 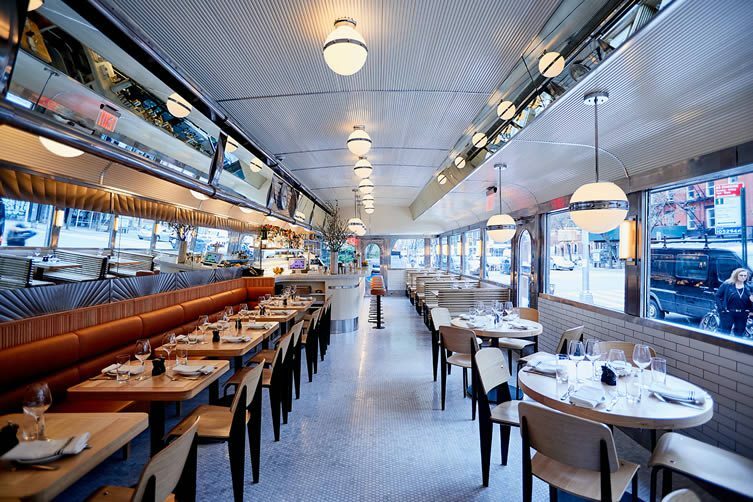 The new look Empire Diner seats 100 guests over two floors, with a seasonal outdoor area to seat 85 more, and those sitting down to tuck into Neubeck’s contemporary classics will be lubricated by a bar program conceived by Cafeteria Group’s Head Mixologist Jenny Castillo; seasonal takes on classic cocktails the order of the day.